On the 22nd floor of Hudson Yards, Proenza Schouler sent one of the most sophisticated collections of the week down the runway. As the second show back in New York, after a year full of Paris collections, it seems like Jack McCollough and Lazaro Hernandez have found their grove. Refreshingly, everything looked extremely well-made and very wearable, with subtle, ironic twists. Here's everything you need to know about the fall 2019 show. 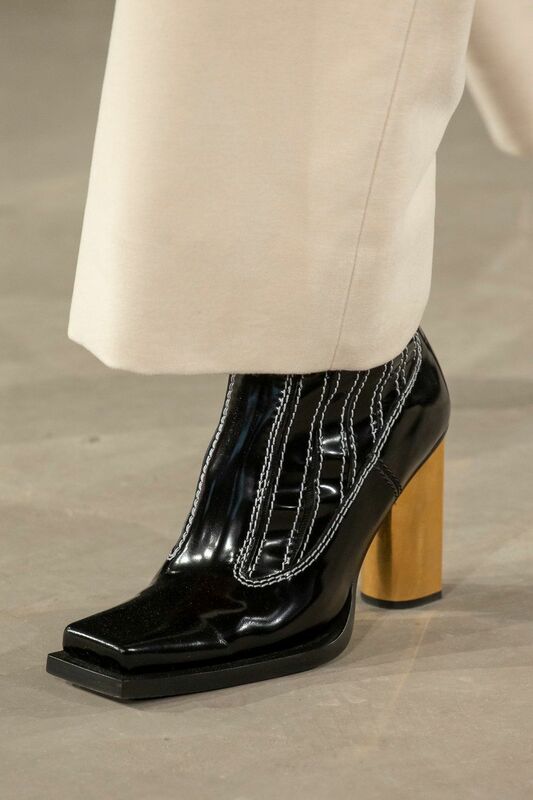 The co-gender show featured the most covetable pairs of leather square-toe shoes. In white and black, the chunky soles became a fixture of design. Some of the black options came with visible contrast stitching. Following the trend of peekaboo cut outs, this season's pieces had netted, mesh-like fabrics layered around all the negative spaces in between. There was also a different kind of cool cut-out in this collection. Multiple dresses had small linear or circular holes right above the armpit. The unexpected technique created a very new silhouette. 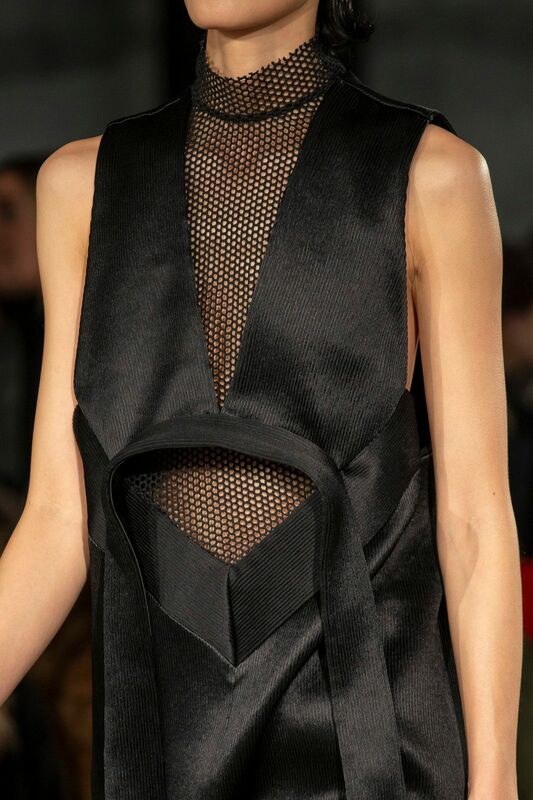 The fabrics in this collection looked particularly elevated and expensive — such as the chunky yet flattering knits. But none so much as the structural leather skirt and leather accented jackets and vests. 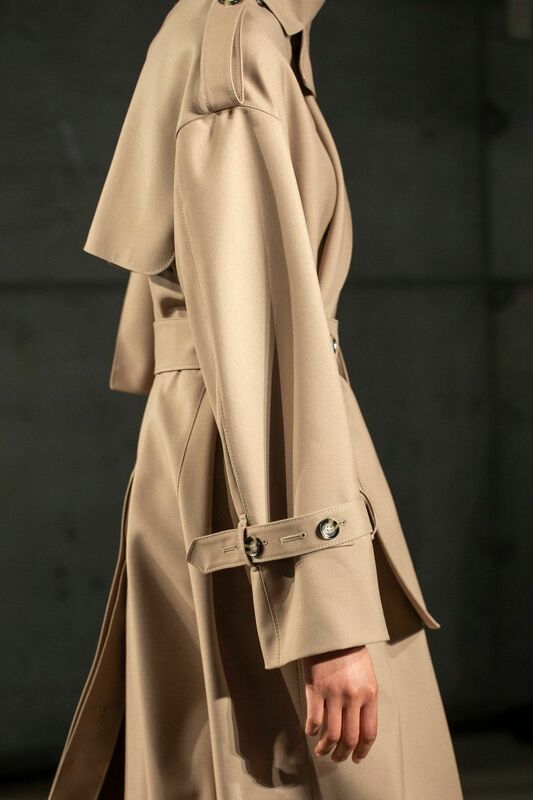 For men, the classic trench coat was oversized and accented with black fabric. 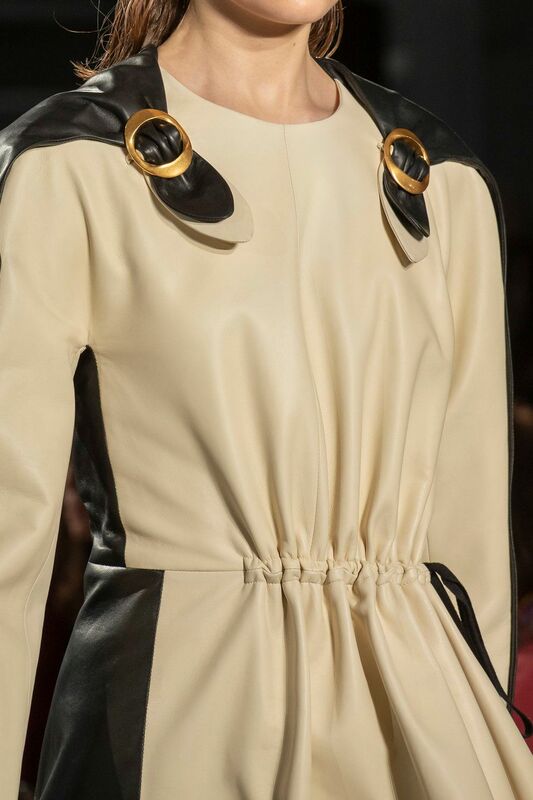 For women, it was redone in leather with open shoulders and awkward, yet perfect hodgepodge of buttons.